As mentioned in a previous post, it’s a bundle of fun cruising Google Earth or Google Maps looking at places to paddle. I decided to compile links to the maps for all our main paddling destinations here. When you click on a link, feel free to zoom in or out, or pan around to see more of the river or lake. I tried to position each starting point to be interesting in some way! Make sure you are viewing the maps in “satellite” mode. I love how on most of these maps, if you select “map” instead of “satellite” view, there’s nothing to see! No roads! 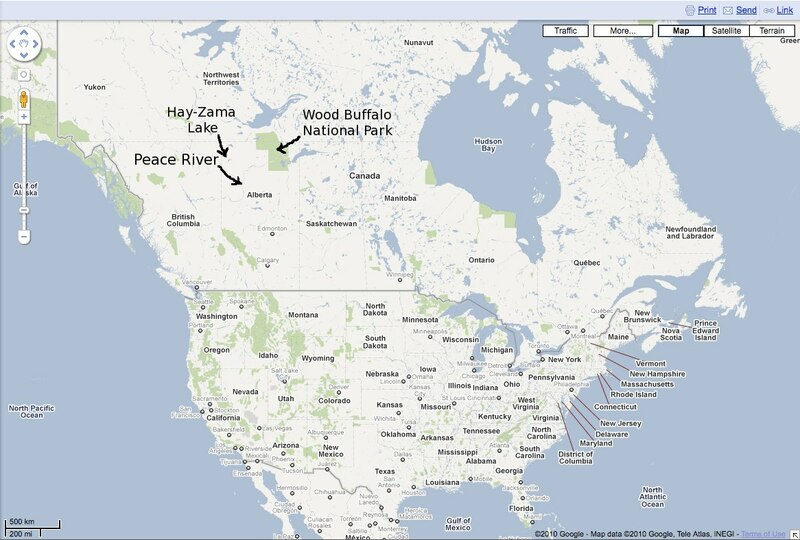 Also, did you notice you can see the Peace River from the home page for Google Maps? The default zoom level is 4, and you can easily see it’s stretched out “S” in Northern Alberta.